How Anthony Mujera used our recruitment service to get a new job as a Finance Manager at Honda. 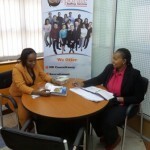 Finding a job in the current Kenyan job market is no walk in the park. The number of qualified candidates and that of available jobs is nowhere near equal, which would explain the large number of unemployed Kenyans. Most Kenyans take too long getting jobs that they get frustrated and desperate, with some even giving up altogether. But is giving up the answer? We profile Anthony Mujera a Bcom Graduate and CPA(K) who used our recruitment service to get a new job with a top employer in Kenya. Take the case of Anthony. An experienced professional in the accounting and finance fields, he had been applying for one year and about 6 months before getting his current job at Honda. To many candidates, a year without any successes would be too long a time to bear. But Anthony was patient enough to persevere the hard times, until he came across a job opening through Corporate Staffing Services. He made the application and after going through the recruitment process, he finally got the job. 1.How did you hear of Corporate Staffing Services (CSS) and the job advert? “I got the information through the internet under Kenya jobs page,” says Anthony. “I followed the link to the website and after looking through the job description and finding that I was qualified, I made an application.” He was later called to the first interview, which he passed to make it to the second interview with the client, in this case Honda. 2.How long had you been job searching before coming across this job at Honda? I had been looking for about one year and a half. 3.Would you say Corporate Staffing Services dded value to your job search? Yes I would say they did. By going through my CV and recognizing my ability and recommending me to Honda. Most organizations do not go through the CVs they receive, which is partly the reason most Kenyans stay unemployed longer than they should. Also, the good image the firm has added value to my CV, which is now more professional to assist in future opportunities. 4.What are your thoughts on the recruitment process i.e from job application to getting hired? The process was quick and professional, well planned and straight to the point. Anyone who is qualified and well prepared should not have a problem with the process. Another thing is that I didn’t have to pay anything either to register or after getting the job as all expenses were paid by Honda. 5.With your extensive experience, what is your take on the finance industry? 6.What is your advice to candidates who are almost giving up? Before I got the job at Honda I had looked for the job for about one and half years. Candidates should not give up at any point until they get the job they desire. The job market is big; one needs to position himself correctly for the position. Employers are looking for professionals who will add value to the organization. You need to stand out for the right employer to consider you. 7.Anything else you might want to add? Thanks to Corporate Staffing Services, I have the Job of my choice. As mentioned earlier, getting a job in Kenya is not easy and requires one to be tactful and smart enough to know what employers are looking for. Anthony had been looking for more than one year before getting his new job at Honda, how long are you willing to wait? its very true ,getting a job is just hell you apply a thousand and one jobs but you never get any ,as for i’ve been looking for a job for the past 1 year 3 months. I agree, its not easy to get a great a job. one however needs to be patient and prepare well for any interviews that come up, know what the employer is looking for and add value to the business. CSS keep up the good work.